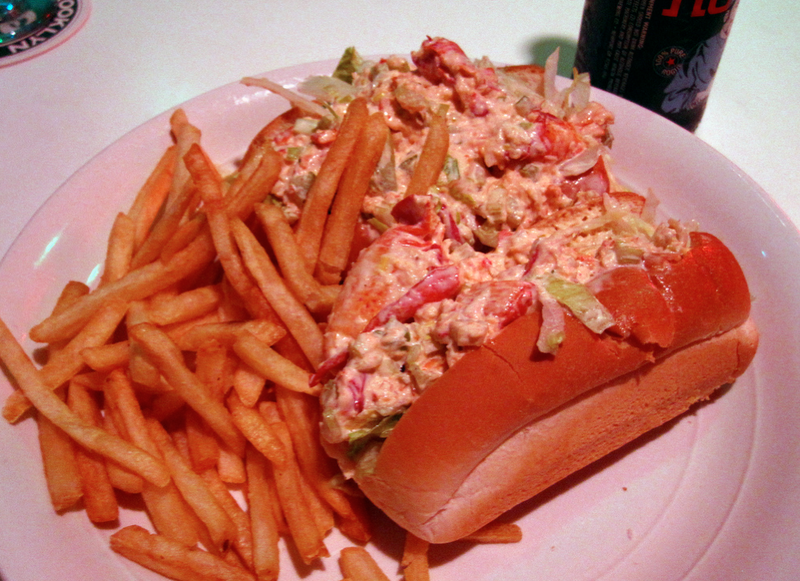 We’ve seen Charlie’s Kitchen on several “Best Lobster Rolls in Boston” lists. So, when one day when we happened to drop by Charlie’s for a beer in their beer garden, we decided to give their lobster roll a try. Charlie’s has long played second fiddle to Mr. Bartley’s for burgers, but if you’re looking for a lobster roll and happen upon Charlie’s, do yourself a favor… keep on walking. In all our travels this summer, this was the absolute worst excuse for a lobster roll we came across – so much so, that we nearly omitted it from the chronicles. But in the end, we spent good money (a whole $12) and got the equivalent of deviled ham-style lobster. There was nothing good about this roll, and we really have nothing further to say about it. 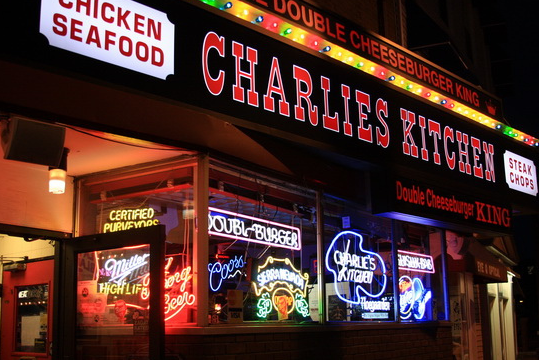 Charlie’s Kitchen is located in Harvard Square in Cambridge, MA. If you want a good lobster roll, avoid Charlie’s. WEBSITE: www.charlieskitchen.com. PHONE: 617.492.9646. Charlie’s deviled Lobster Roll. A disgusting travesty.